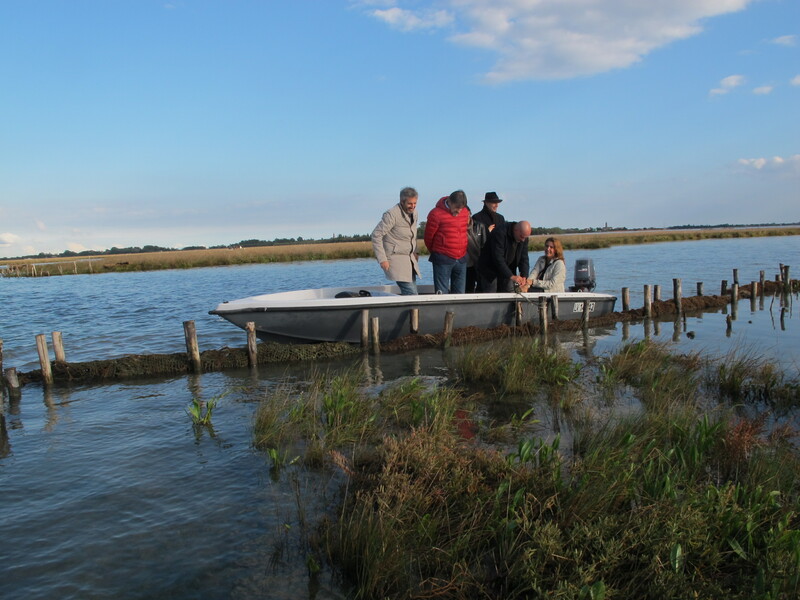 Ramsar Advisory Mission no.80 to Venice and its Lagoon visits restoration measures (by local fishermen and foresters) of saltmarshes that were degraded mainly by ship traffic wave actions. These restoration measures are supported by the European Union LIFE-VIMINE project. A joint mission between the UNESCO World Heritage Centre, the International Council on Monuments and Sites (ICOMOS) and the Ramsar Convention on Wetlands was carried out from 13 to 18 October 2015. The objective of the mission was to review the overall state of conservation of all component parts of the Venice and its Lagoon World Heritage property and Ramsar Site, to evaluate major construction projects, both undertaken and planned. The mission considered that the general state of conservation of the property composed by the Historic City of Venice and the Venice Lagoon – is currently impacted upon by a number of factors which represent both proven and potential danger to the Outstanding Universal Value of the property in accordance with paragraph 179 of the Operational Guidelines and make its authenticity and integrity very vulnerable. The mission expressed its concern about the extensive traffic and inappropriate exploitation of the Lagoon resources which could contribute to its severe and irreversible deterioration, if no immediate measures are taken by the authorities. The cumulative negative impact of large vessels crossing the San Marco basin and Giudecca canal on the nearby built-up structures of the city, through wave action and their destructive forces, and air pollution were substantiated by all different parties met. 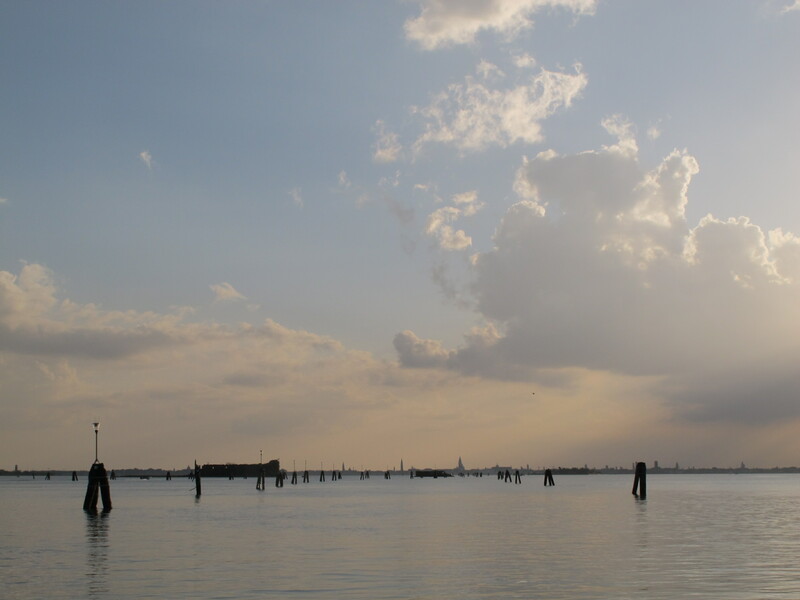 The Venice skyline seen on the way back from the Palude dei Laghi saltmarshes restoration area. Other major factors affecting the property are developments and transformations which have already occurred in the urban settlements of the historic city following considerable change and development since the inscription of the property, and proposals for large infrastructure, navigation and construction projects in the Lagoon and its immediate setting (excavation of a new connection channel, extension of the existing channels, airport extension), which could lead to irreversible transformations of the overall relationship between the City and its Lagoon. The final mission report was adopted by the 40th session of the World Heritage Committee in 2016 is now also published as the Ramsar Advisory Mission report N°80. In line with established Ramsar Convention practice, the Secretariat will monitor how the Italian government can follow-up on the recommendations listed in the report. Ramsar Advisory Missions (RAMs) are a means by which the Convention on Wetlands (Ramsar Convention) provides technical assistance to Contracting Parties in the management and conservation of listed wetlands of international importance (Ramsar Sites) whose ecological character has changed, is changing or is likely to change as a result of technological developments, pollution or other human interference. 80 such Missions have been completed to date.